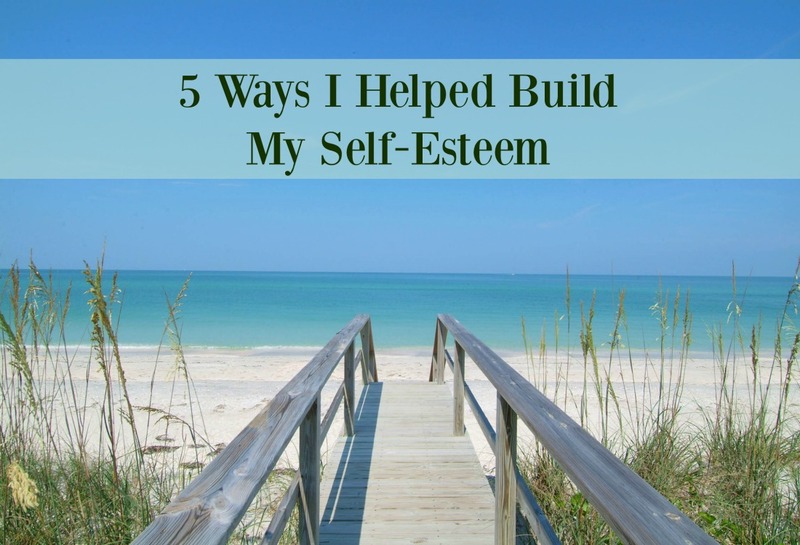 5 Ways I Helped Build Self-Esteem - Welcome to SarahKesseli.com! What exactly is self-esteem? How do you build self-esteem if you really don’t even know how to define it or how it is related to our body image? Well, let’s change all of that today because unlocking the mystery to this could be the very thing you need to change your perception of yourself and possibly your relationship with food. No one wants to think of themselves as having low self-esteem. That’s just not ‘cool.’ But the reality is that so many of us do! Many times you don’t even realize you have low self-esteem because you are so focused on your outside appearance. Self-esteem and body image are directly related. Why is this? Because low self-esteem naturally leads to a negative perception of one’s own physical appearance. Instead of thinking about the areas that I ‘wasn’t good enough’ in, I began focusing on all the things I am good at like cooking, listening when friends need to talk, scrapbooking, etc. If you are one of my clients, you have heard this a million times before. Self-care is not selfish. Self-care also doesn’t have to mean spending a lot of money on activities such as massages, vacations, etc. Although those things are nice, it is important to start with simple things that you can feel successful achieving on a daily basis. I know, it may seem weird, but when I first started doing these I put sticky notes all over my bathroom mirror so that I was forced to read my affirmations every morning and night when I brushed my teeth! This was one of my favorites that were too big for a sticky, but I had printed out in color and drawn flowers on the edge. I Stopped comparing myself to others and their journey. I used to compare my race times (when I was a marathon runner) to those who finished faster than me. I would compare the amount of weight I could squat or deadlift in the gym to others on social media. Even the photos I would take for my recipes, from day one of blogging, I compared mine to those who had years of experience under their belts. But no matter what area of my life I compared to others, I would never and will never be that other person. I am me. I was given my own set of talents, strengths/weaknesses, etc. When I finally learned to let the comparison go, it took a huge weight off of my shoulders and opened my eyes to who I was as a person. *I will admit that of all things on this list, this was the hardest of them all. But self-affirmations helped! I hear all the time, “Sarah, you are always so positive!” I will be honest; a lot of days I don’t feel positive. Have you ever heard the saying, “Fake It Until You Make It?” No, I don’t want you to fake anything, but I do want you to change your mindset! The last few months I have been dealing with some on and off pain in the shoulder, arm and back. Some days I would feel great and then all of a sudden, I would wake up one day and feel terrible. Instead of spending all day focusing on the pain, I would say to myself, “Sarah, the sun is out (positive), you are very lucky to have both of your arms (positive) and legs (positive), the pain will eventually go away (positive).” Then, if someone asked me how I was doing that day, I would say “Great!” I wasn’t saying it to lie to them. I was saying it to try and change my mindset. If you keep doing or saying something over and over again, you are bound to believe it! And do you want to know something, in (almost) every instance, I would end up focusing so much less on the pain and directing more energy towards the positive things in the day! I also spent less time focusing on negative things I thought I failed at or didn’t do well and started focusing more on life experiences. I celebrated my success and achievements; no matter how big or small. Even something such as, “today I took 10 minutes to read and enjoy my cup of tea” is a big success for many! I would love to hear your thoughts on this article and how you work on building up your self-esteem! Which of these comes easily to you? Which of these do you find more challenging? If self-esteem is something you struggle with, please let me know! Let’s change that!